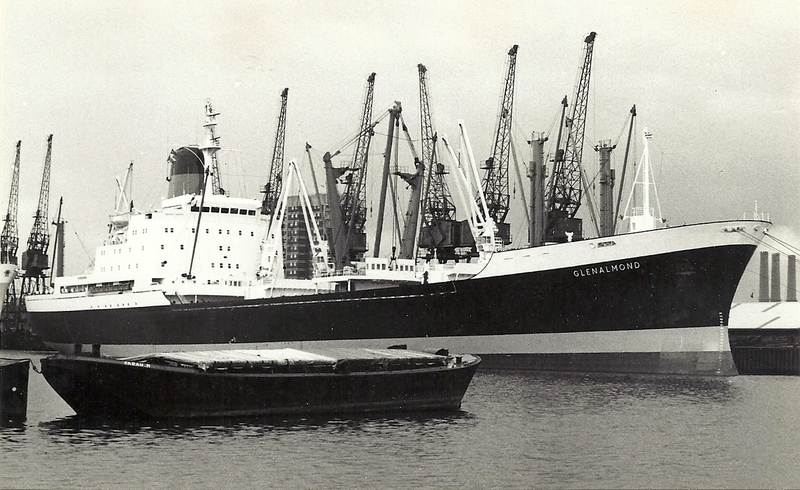 The Glen Line ship GLENALMOND on 28/5/1972. She was built in 1966 at 12,229 grt. In 1973, she became the PATROCLUS and was sold to Saudi Arabia in 1982 as the RAJAB 1.